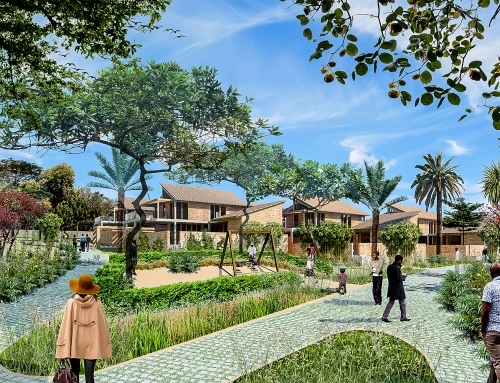 The Batsinda II Sustainable Integrated Neighbourhood Development is a pilot project that demonstrates that a high-density affordable housing project can be implemented as a green and sustainable community. 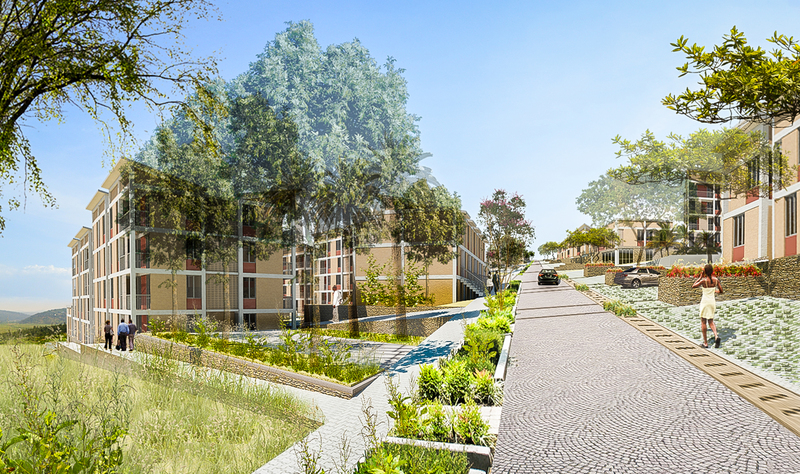 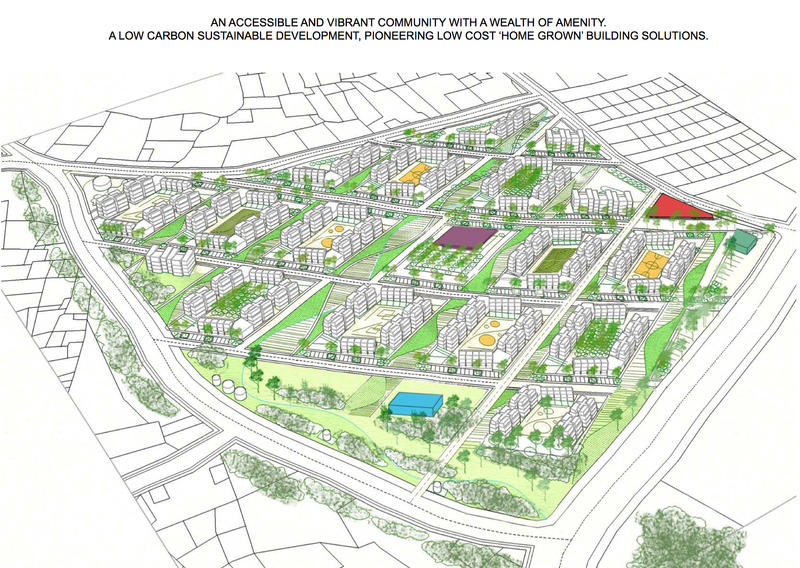 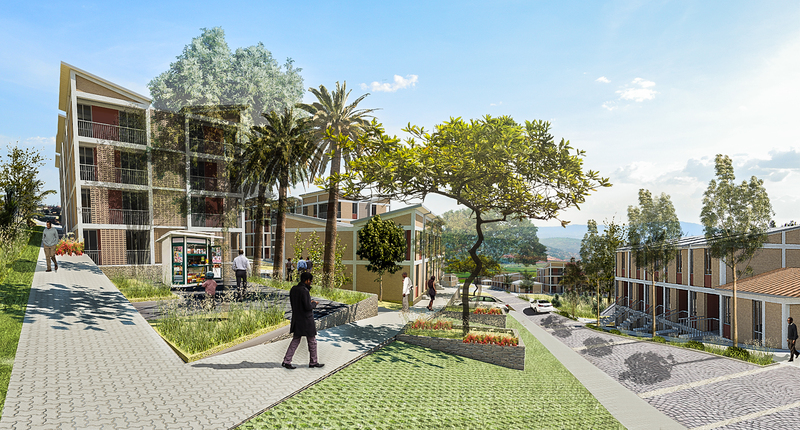 The project integrates green local building technologies, sustainable drainage infrastructure, peri-urban agriculture and active energy production into a cohesive neighbourhood master plan. 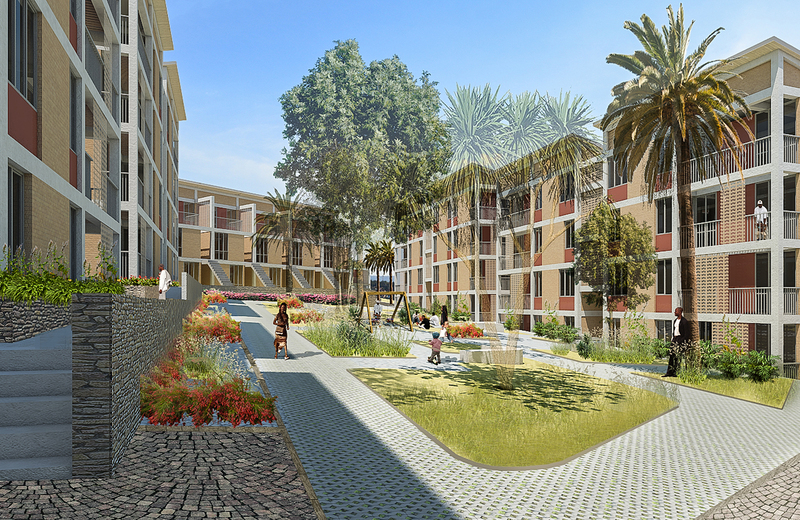 The project is intended to set the benchmark for green city development in Rwanda. 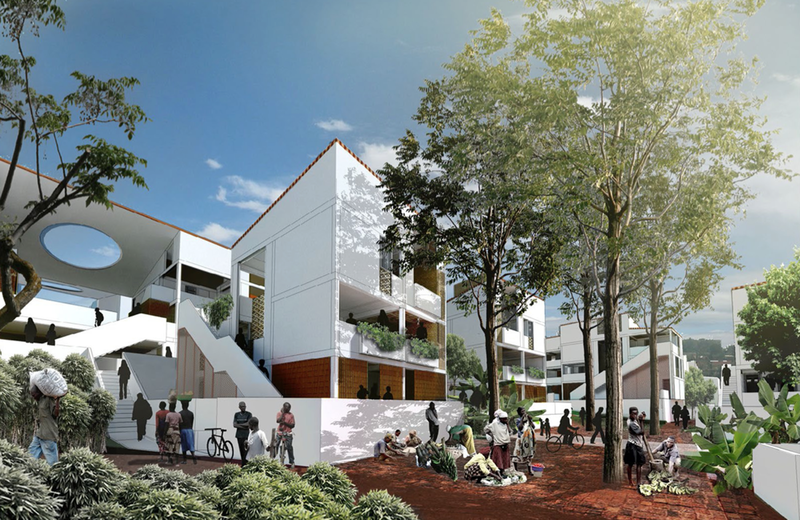 The master plan prioritises active external spaces – streets, courtyards and parkland, to create a vibrant and cohesive community with mixed use and amenity spread across the neighbourhood. 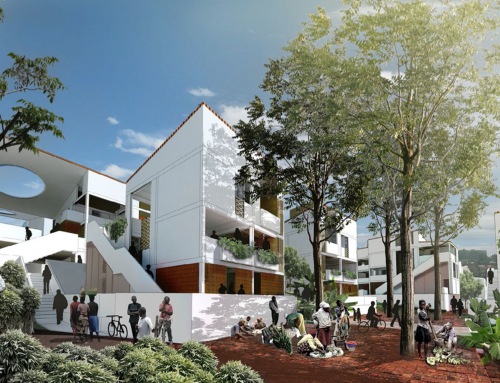 There are a variety of housing types, from 1 bedroom apartments to 3 bedroom marionettes and houses. 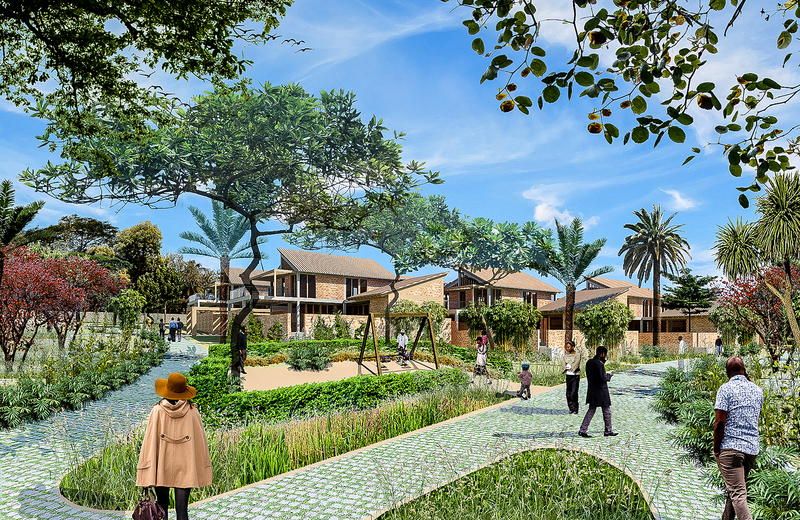 A regular structural frame is in filled with a variety of locally made materials to create houses that are affordable for ordinary working Rwandan families.